The most awesome lesson Mums taught us in 2017! Before we all leap too far into 2018, I have a “teachable moment” to share that comes from my clients in 2017. When I sat down to draft this blog, I was planning to create a list of lessons from 2017. Who doesn’t love lists? They provide order and a sense of accomplishment. But I soon realized I don’t need a list at all. I have ONE overwhelming lesson to share from my first year working with mums, and it is pretty awe inspiring: MUMS STILL PUT MOTHERHOOD FIRST. What’s the biggest distinction here? We still know our role as mums is more important than anything else. And this is consistent across the vast majority of the clients I’ve seen. There is no ‘guilt’ and there is no ‘out-of-balance’. There is the clear and truly organic shift in priorities that happens when we give birth to our favourite little people… ambitious career woman, or not! We know, in the fibre of our being, where our priorities lie. I am truly inspired, and so proud of these mums! I believe this ‘knowing in our bones’ attitude is a sign of how far working women have come! It is confirmation that no matter what mums have responsibility for on a daily basis, at home and at work, their priority is children and family. So, in today’s world, work life is what needs to change to accommodate motherhood! In the past, mums had fewer workplace options than in 2017. Today, there are infinite flexible work arrangements that mums can choose. And you ALWAYS have choice! Many employers want to retain the expertise experienced employees bring to their organizations. In addition to the skills these women already possess, imagine their powerful contribution when you add the multi-tasking, shape-shifting, priority setting, ‘keep-all-the-balls-in-the-air’ abilities motherhood has ingrained and enhanced. They are an unstoppable force. As a professional career coach, I can help you define what you want and need on the ‘work’ side of the mum equation. Having the right workplace ‘fit’ for your mum lifestyle will pay big dividends on the home front now, and for future generations. And when you lay your head on your pillow at night, you’ll rest easy knowing you have this motherhood thing figured out. You may feel like you haven’t used your brain for anything other than parental duties for months. Or that you’ve forgotten how to even speak to adults in a professional setting! Maybe your ‘baby brain’ is still as present as ever and you’re worried the fog may persist. These emotions are common, but temporary. As a mum, flexibility is your new middle name! How many times have you had to change paths, cancel plans, or tackle a challenge thrown into the midst of your day, without warning? Your capacity to adapt is off the charts! And you will be surprised how quickly you will adapt to a workplace return. 3. Talk to other mothers… and find a MENTOR! There are other women just like you who are willing to help with your transition back to the workplace. Undoubtedly, you have mums in your network who have returned to work successfully. Seek them out. Ask for advice. Pick their brain. The more information you glean, the better the decisions you can make. Know there is power in having a mentor to help you through the process; someone to reach out to for support and wisdom. And especially to know that you are not alone in navigating your successful return to work. In previous blogs, I covered the importance of understanding the kind of mum you want to be; and 6 ways to enjoy guilt-free 'ME time' as a new mum. Today, we begin to dive into the next hurdle: going back to the workplace. 1. Know you ALWAYS have options! Even if you are convinced that your employer won’t be flexible, or that you (and your ‘baby brain’) are no longer employable, know that you always have options. ALWAYS! Companies are becoming more open to creating flexible work arrangements with mums, so they don’t lose employees they have invested in. And there are many resources available, such as flexible-work recruiting agencies; e-learning for returning mums; and ‘returnships’. (I will focus on some of these helpful resources in my next blog). We tend to believe we have to return to the exact hours and expectations we had previously at work… but this may not be the case. First, think about the type of situation that would help maintain the happy equilibrium you have found as a mum. What does that structure look like? (For example, reduced work hours? fewer work days in a week? a job-share? a ‘no emails in the evening’ policy?) Next, determine whether the structure you want will provide you with the level of income your household needs. If it will not, are there other areas in life where you can cut back on spending? With proper budgeting, you may find you can afford the flexibility you desire! When you’ve defined what you want as an ideal work situation, stand behind your decision with conviction. If you’re returning to your previous employment after maternity leave, make sure you know your return rights and benefits. The details of maternity benefits should be included in your employment contract; and Human Resources policies are usually on a company’s intranet site or available on request from HR staff. Important policies to note include repayment of maternity benefits and flexible work arrangements the company offers. Remember, you are in the driver’s seat when it comes to developing a plan for transitioning to work. My next blog will provide some resources to build your confidence and understand your value to an employer, even when you’ve been out of the workplace for a while. In my last blog, I wrote about how to “feel through” being the Mum you want to be. Now, it’s time to take the next step in the Mummy process: making the most of the precious time you have for you! Knowing how much time you have in the evenings for yourself (or to be with others) is sacred. Choose a bedtime that works for you, and stick to it - even if the kids are fighting you on it. In the long run, they will appreciate (and benefit from) the routine - and you’ll appreciate being able to plan your evenings around something besides work and kids. Or, you’ll appreciate not having to plan for anything at all! Once you’ve carved out some ‘me’ time, use it for its intended purpose! If your Saturday afternoon was meant to be spent with a girlfriend, then give yourself the headspace to really be PRESENT with her. If your head is elsewhere, you’ll both leave disappointed. If you leave knowing you spent quality time with her, it will help you realize you CAN wear more than just your ‘mummy’ or ‘work’ hat! Unless you absolutely need to have contact with a family member or friend, put your phone away during your ‘me’ time. It’s hard to connect with what you’re doing when you are distracted. Our phones offer a constant reminder of what we ‘should be doing’ now; what we ‘will be doing’ tomorrow; or what we ‘haven’t done yet’. And that stress conflicts with taking some down time for you! Disconnect as much as possible, and stay out of your diary, reminders and emails. Even if daily life feels unrecognisable now that you’re a Mum, it doesn’t mean YOU are. Most of us haven’t taken a moment to remember what a typical day looked like before we had kids! What did you do for fun? What hobbies did you enjoy? What do you miss about those days? How can you add some of that back into this new life… even in the smallest of ways? (If you love sewing, for instance, you can still find ways to do it – even if your time is confined to an hour or two). A couple of hours doing something you love can add a lot of positive impact to your life. Only YOU know what it takes to recharge your batteries. If attending additional commitments feels at conflict with that, just say NO. We all have limits and breaking points, whether we are striving to be Super Mum or not. Over-committing during ‘me’ time can lead to under-committing during the time that matters to your kids… so find the balance that’s right for you. If you are content with your decisions, you’ll be content as a Mum when you put your head on your pillow at night. 6. Also Say YES to things – with enthusiasm! Say YES to offers of help. Say YES to invitations that excite you. And do it without feeling guilty! You deserve ‘me’ time for the things in life outside of Mummy-hood – especially when you’ve put your role as a Mum at the top of the priority list. So go ahead - give YES a big “thumbs up” when you have the chance to do things that touch your heart and bring you joy. In two weeks, we’ll begin the conversation about how Winning Mums manage working life. Who decides what makes you a winning Mum? Think deeply about what you can comfortably “live with” at the end of the day. Beyond feedings, clean clothing, love and cuddles, and providing a safe environment for sleep and play – what can wait? You’ve acknowledged you cannot do everything... so what stays on YOUR list (Mummy needs to do this) and what are you willing to delegate or forego? Only you can decide what feels right for you. For example, if bath time is an intimate source of connection and joy for you – and you’re not the one doing it – your contentment with feeling like you’re a good Mum will be affected. And if bath time isn’t as important to you, and there is someone else who can bathe the baby – accept help! Or, share a bath schedule if that feels right for you. Feeling like you’re “Being a good Mum” is exactly that - a FEELING! For most of us, the drive to be a “Good Mum” is primal. It cuts to the core of our being - and is so important that if we feel we are not that person, it is hard to keep everything else in balance. No matter how much thinking and planning we do with our "heads" to provide a great life for our children, our contentment with ourselves as Mothers comes from, and lives in, our heart. Sorting through the things that mean most to you may take some time – it’s a trial and error process. See how it feels and decide what you want to do more of, or less of. (Do be mindful you can’t keep everything on YOUR must-do list unless your vision of being a good Mum requires you to collapse on the couch every night, gasping for breath!) In the example above, your baby will be lovingly bathed every day regardless of who does it; so being content with your choices is the key to feeling like a Winning Mum. What does the Winning Mum tackle next? After you have your role with the baby (or children) in balance for you - at least in theory – the rest of the ‘hats’ you wear will be the subject of my next blog. How do you prioritise time with your partner; time with extended family and friends; time for your own personal wellness? And then, there’s the world of work! Are you wondering how you’ll transition back to the working world and keep all the balls in the air? You may want to read about some of the ways I help Winning Mums make choices around work that fit with who they are as a Mum. When you rest your head at the end of a long day, do you feel like a Winning Mum? 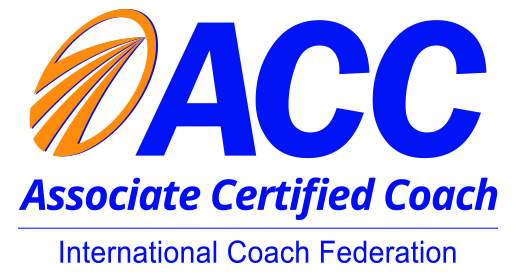 In 2015, I left corporate life to become a trained Career Coach. It is the kind of people-focused, fulfilling and flexible career you wait years to find! Helping unhappy worker bees find their own inspiring work is something near and dear to my heart. Then, six months later, I was pregnant for the first time - with twins! As exciting (and overwhelming) as this news was, I couldn’t bear the thought of not making my new career work for me, even with the impending arrival of my boys. Then I gave birth: and something else new happened. I entered a new world filled with other Mums. A lot of Mums... telling me the same thing: they were feeling a sense of conflict in their lives, even when being a good Mum had become more important than anything else. This resonated with me because I was feeling it too. And feeling guilty about it! While we each have different stories to tell – the threads woven into our stories are much the same. So a new coaching focus was born. Now I provide coaching support for Mums who are looking for ways to integrate their roles. Mums who are just like me. Mums just like you! I’m learning ‘on the job’ (both of them!) – sometimes stumbling along the way - and sharing what I’m learning. The goal? We all want to lay our heads down at night knowing we are the good Mums we want to be. And that we are content with the choices we’re making to create a Mummy/Work/Life alignment plan we can live with. And that feels good! What tips do you have for becoming a Winning Mum? Or, what keeps you from feeling like a Winning Mum? Look for The Winning Mum Blog bi-weekly – and I’ll share your thoughts and ideas in future blogs. Email me at info@thewinningmum.com. Contact me for a free introductory coaching session!